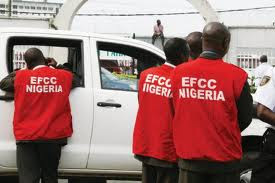 The embattled spokesperson of the Economic and Financial Crimes Commission on Tuesday tore a statement he voluntarily made to the Economic and Financial Crimes Commission regarding his alleged involvement in the $2.1billion arms fraud being investigated by the anti-graft agency. Those familiar with the matter told PREMIUM TIMES Mr. Metuh tore the statement after it was presented to him by the investigating officer for endorsement, as part of preparations for his prosecution. “Rather than sign the document, Metuh on realising the weight of his confession, seized the documents and proceeded to tear them,” one of our sources said. He added that the PDP spokesperson later tried to stuff the papers into his mouth in a bid to swallow them when he was stopped by operatives who managed to recovered the torn pieces of papers from him. Another source in the EFCC said the attempt by Mr. Metuh to destroy a major evidence in the case against him was an offence which could attract a separate charge in court. “The tearing of statement is tantamount to willful destruction of government property and it is a serious offence,” the official said.